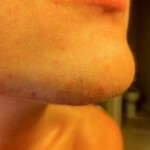 Women all over the world have spent billions of dollars in the hunt for the best way to permanently remove facial hair. In truth there is only one way to permanently remove facial hair and that is Electrolysis. PL and Laser hair removal are other methods of temporary hair removal that women employ, but can be costly, often uncomfortable treatments that are unsuitable for some skin types and colouring, being most effective on women with fair skin and dark hair. Why is Electrolysis the only way to permanently remove facial hair? Electrolysis is not new. It was developed more than 100 years ago for the treatment of ingrown eyelashes. Although the technology used to perform Electrolysis has improved over the years, the reliable, proven technique remains unchanged and is recognised by the U.S. FDA and the British Medical Association as the only true way to permanently remove facial hair. During electrolysis, the practitioner, when skilled, experienced and above all, qualified, precisely manoeuvres a tiny, sterile probe into the pocket of the skin from which the hair emerges. A minute heat reaction takes place, which effectively kills the hair bulb or ‘root’ removing the possibility of regrowth. During the entire process, the skin is never punctured and the reaction is so minimal that the recipient feels nothing but a ‘quick warmth’. Elaine Marley D.R.E. trained and qualified in the U.K. more than 25 years ago and is a highly experienced and skilled Electrolygist. She gains immense satisfaction from her work in her stylish Brisbane hair removal clinic and enjoys helping women to regain their confidence after years of coping with unwanted excess hair. Among her clients are ladies that wish to permanently remove facial hair that they no longer wish to pluck as part of a beauty regime, such as eyebrows and the odd superfluous hair. Elaine has helped many hundreds of women permanently remove facial hair from their lives and has treated many varying degrees of severity. Let Elaine help you with her years of experience and state-of-the-art Electrolysis technology. Find out more today and contact Elaine for your free consultation or visit the website for more information.